TRIPOLI, Feb. 4, 2015 - A Libya Dawn fighter prepares to launch a rocket-propelled grenade near Wetia airbase, Libya, on Feb. 4, 2015.Clashes continued between Libya Dawn fighters and pro-government forces on Wednesday near Wetia airbase, some 170 kilometers southwest of the capital Tripoli. 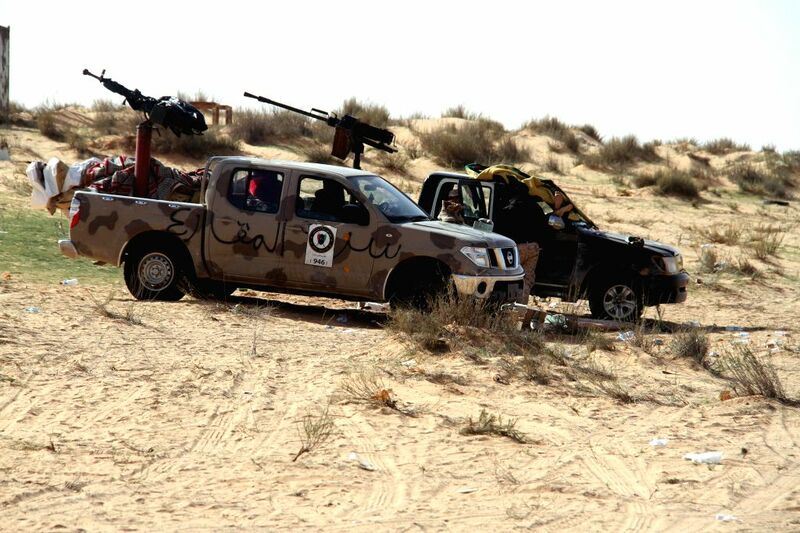 Two Libya Dawn armed vehicles are parked near Wetia airbase, Libya, on Feb. 4, 2015. 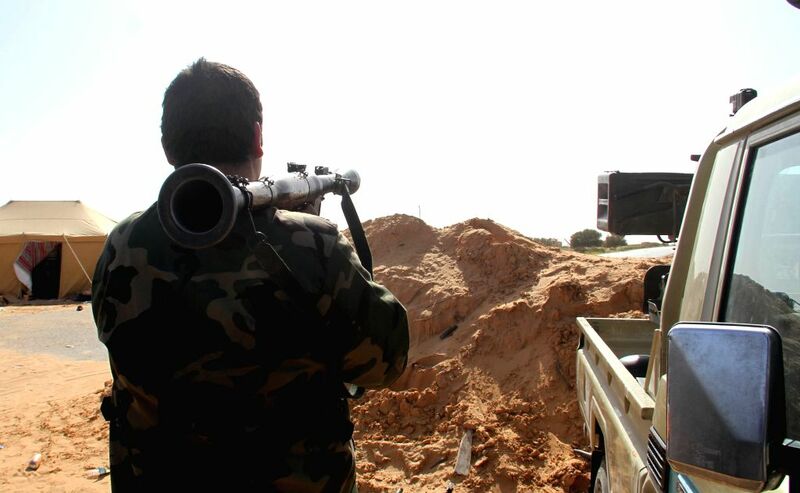 Clashes continued between Libya Dawn fighters and pro-government forces on Wednesday near Wetia airbase, some 170 kilometers southwest of the capital Tripoli.